Spiced with flavours of India, this warm beverage is the perfect nightcap! 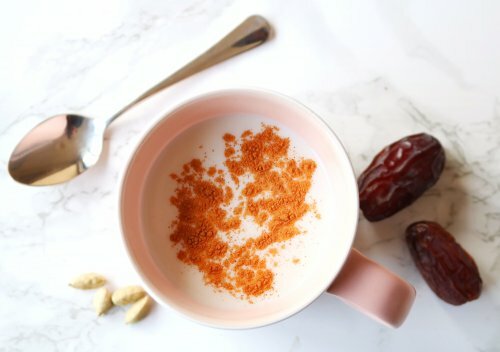 The cinnamon gives it a nice sweetness that helps to regulate blood sugar levels and reduce late night sweet cravings. Blend the milk with the cardamon and dates for 2 minutes, then strain through a fine sieve. Pour the milk into a saucepan and heat on a low simmer with the cinnamon for 5 minutes. Pour into a mug and sip away!